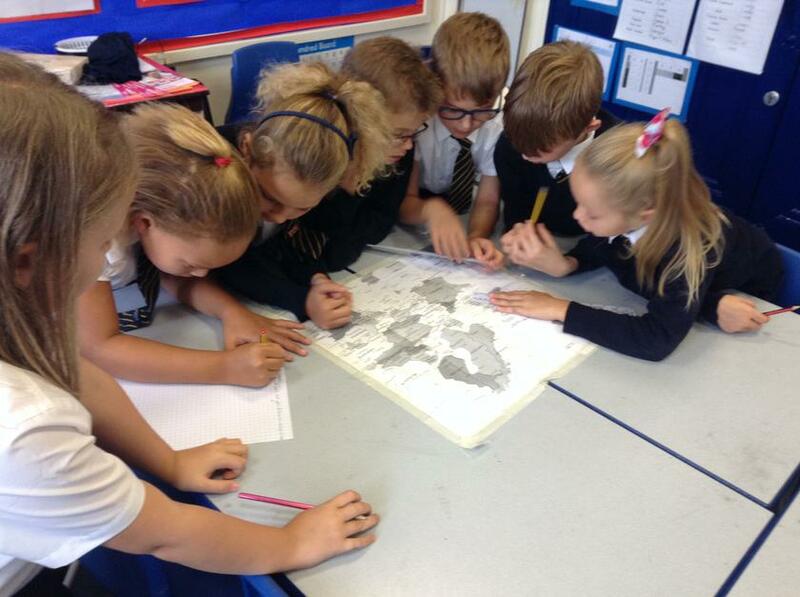 Today we have been discussing income and expenditure. 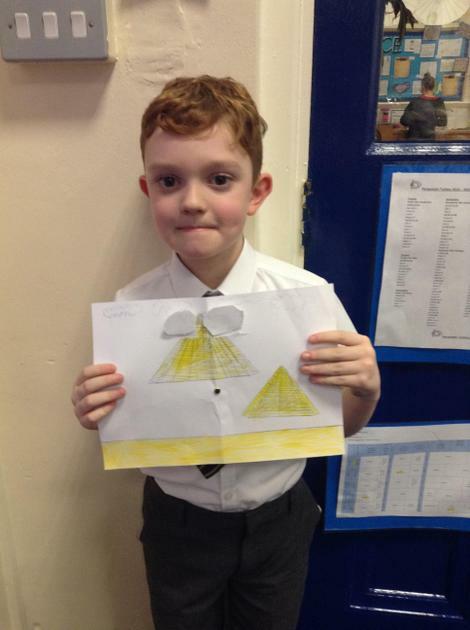 We created a Diamond 9 of which expenses we think were the more necessary and which we could do without. 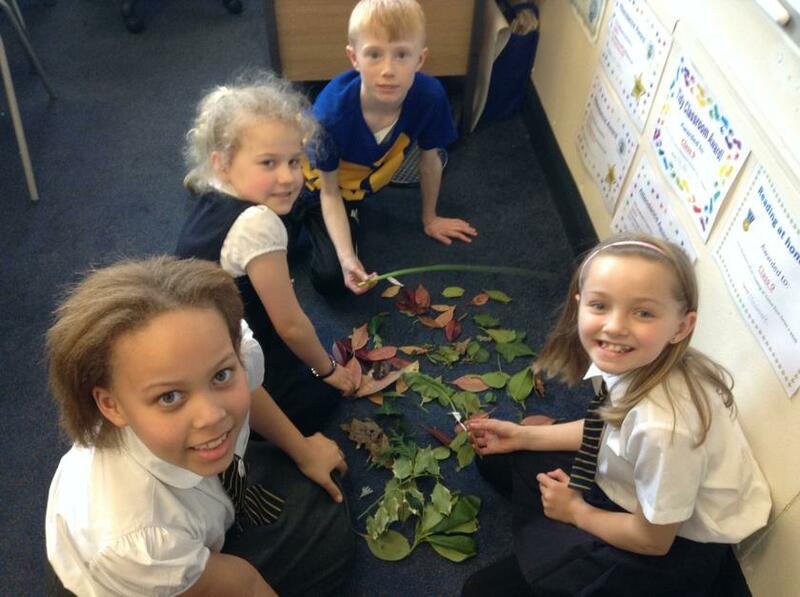 Today we have been looking at leaves from different trees. 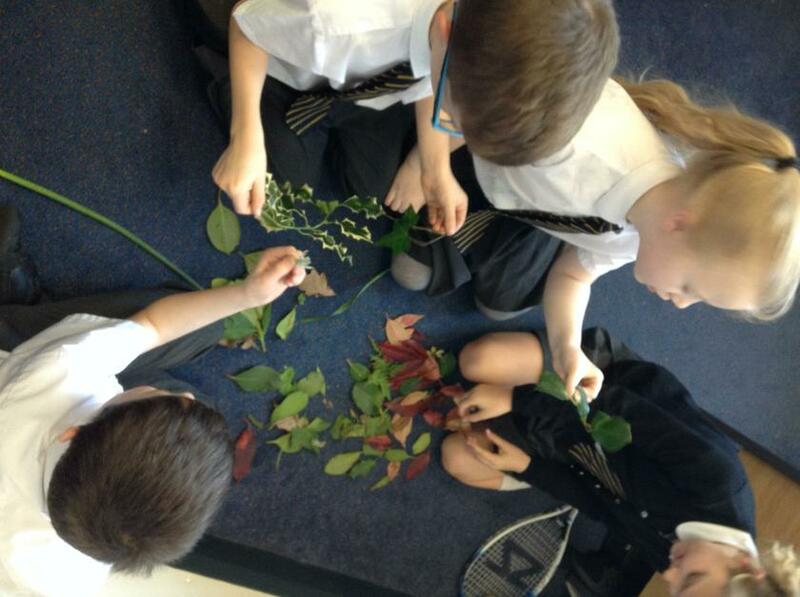 We have been comparing them to allow us to create our own classification key for tree identification. 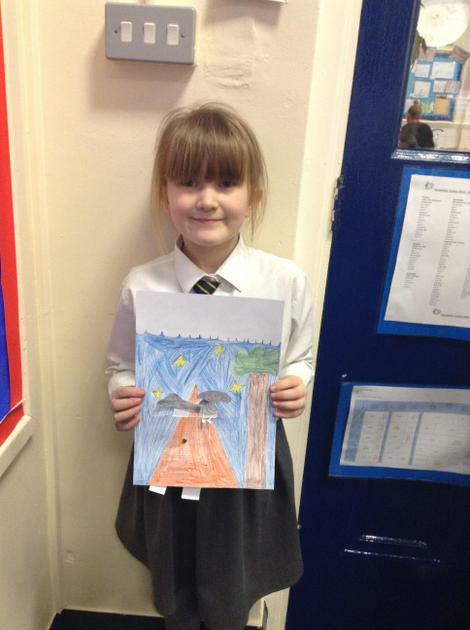 Today we have been using our observational drawings from last week, based on the work of Caravaggio, to create 3D sculptures. 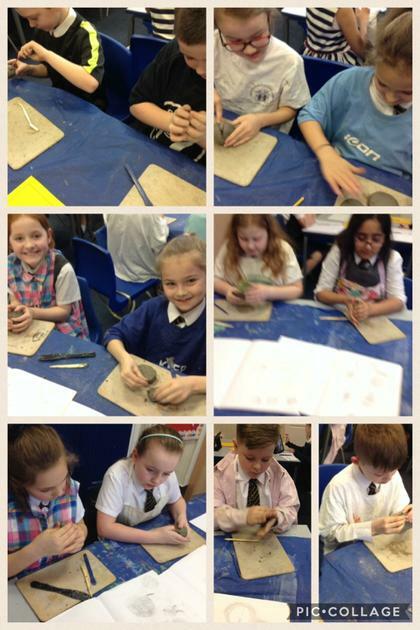 We can't wait to use collage next week to give them colour and texture. 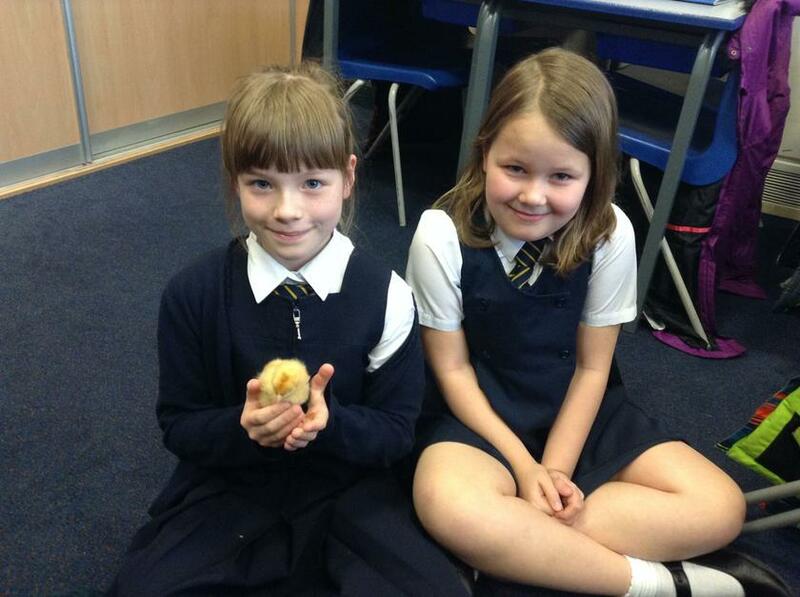 Today we enjoyed your little visitors who have been living in reception. 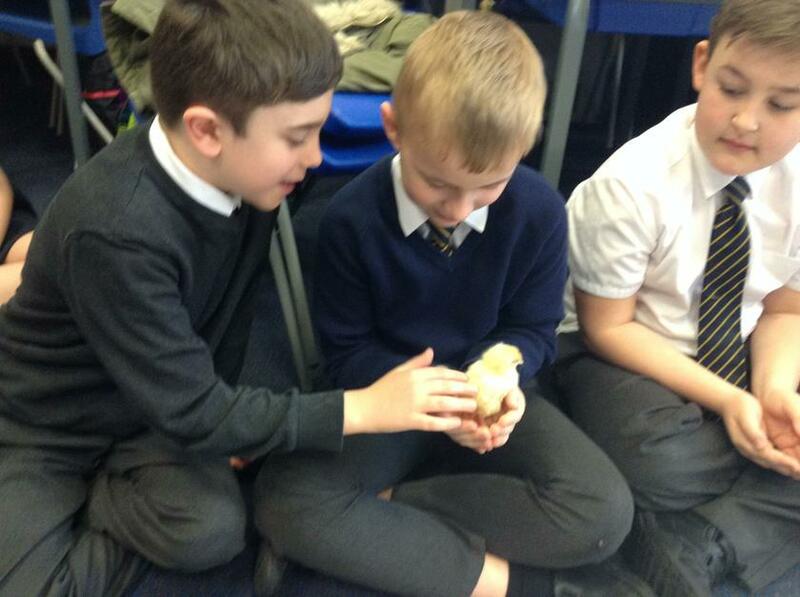 We talked about how they hatched and discussed WOW vocabulary to describe them- looking at appearance, different characters of the chicks, feel and even smell! 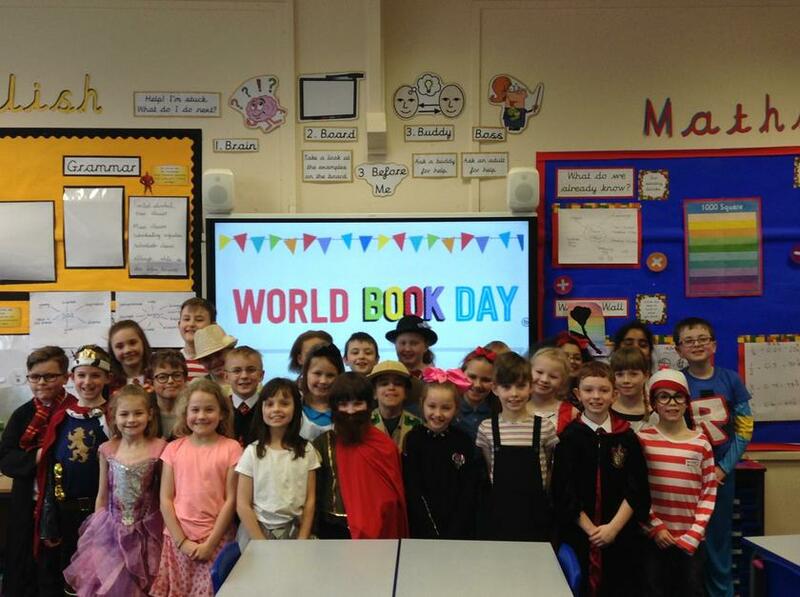 Class 9 have made a fantastic effort in their costumes for our book day! 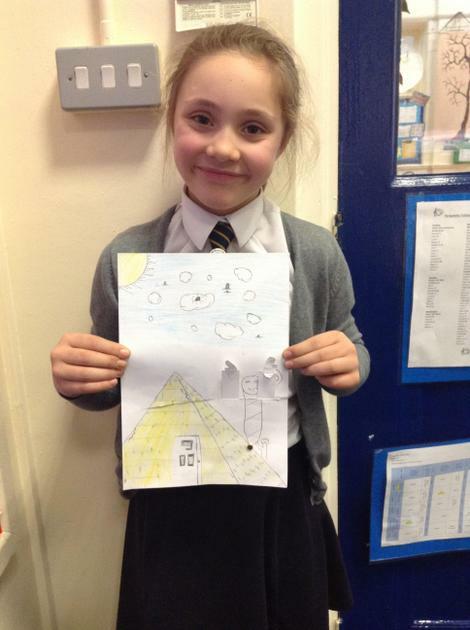 We have enjoyed reading 'the Great Rocket Robbery' and creating our own comic strips of an adventure in space for Laika the dog, along with using our science knowledge to create classification keys for a selection of books. 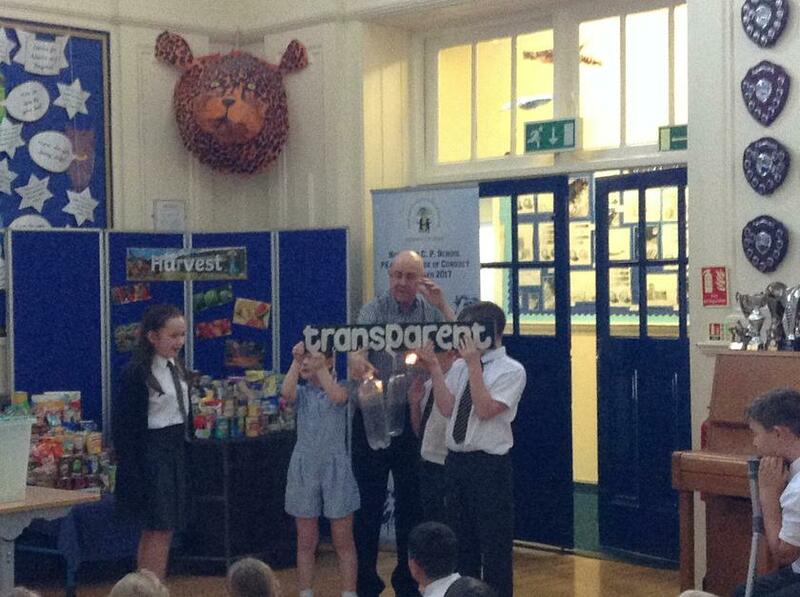 Well done Class 9 on your outstanding class assembly! 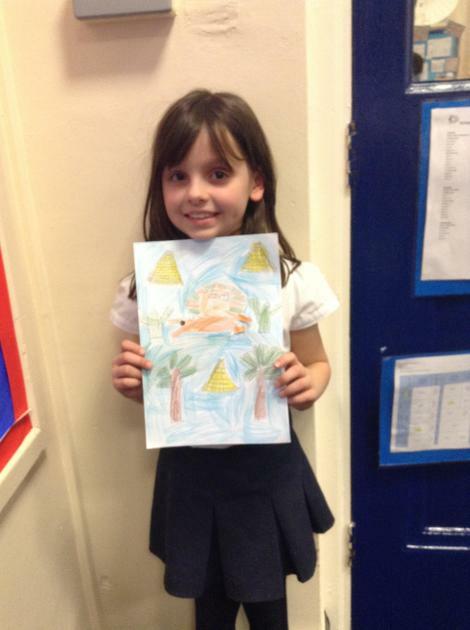 We have been learning about the lives of some children in countries such as Mozambique. 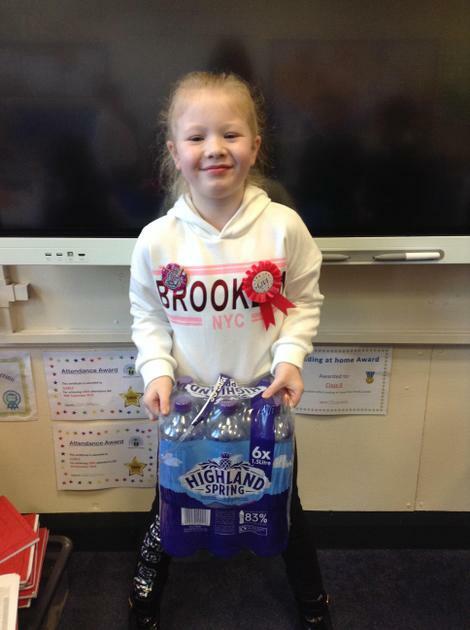 There children the same age as us have to collect water for their family, often carrying up to 10 litres for over 30 minutes in the boiling heat. 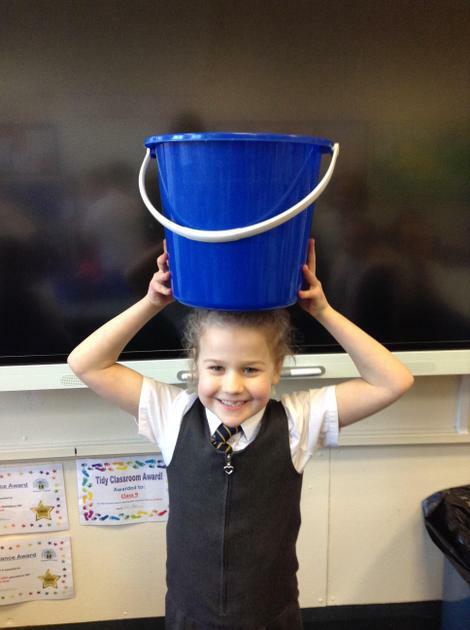 We felt how heavy 9 litres was, then how tiring just having our arms above our heads for that long was, even without any water in the bucket! 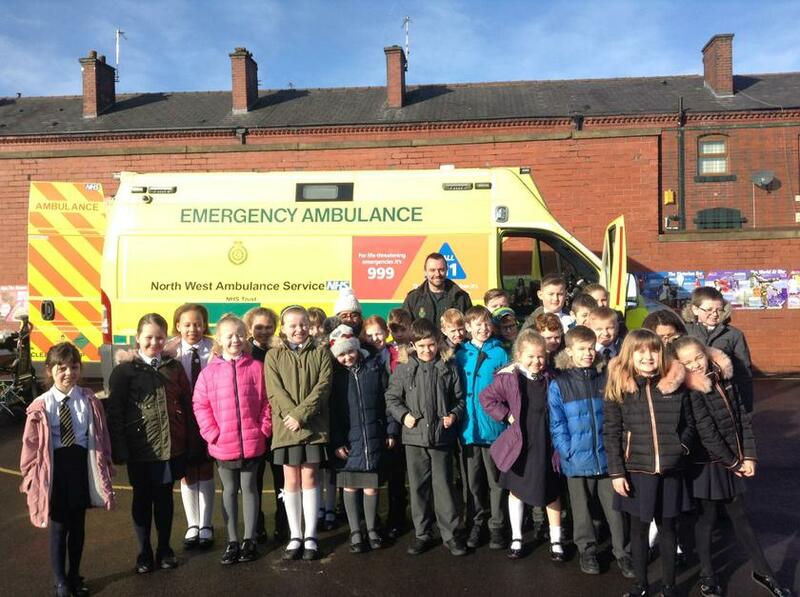 Class 9 had a fantastic time learning about what equipment an ambulance has and why it needs them. 30.1.2019. Our Lever System moving pictures. 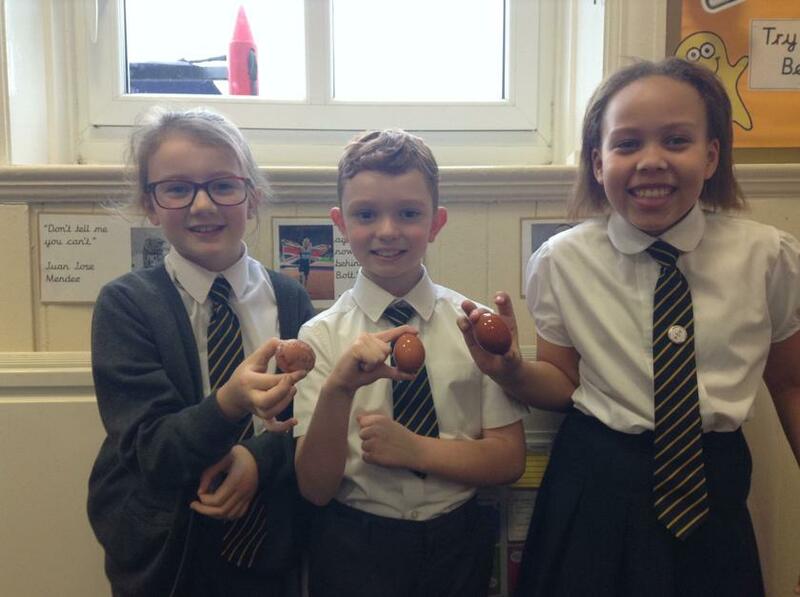 Class 9 have loved investigating the effects of different liquids on egg shells. 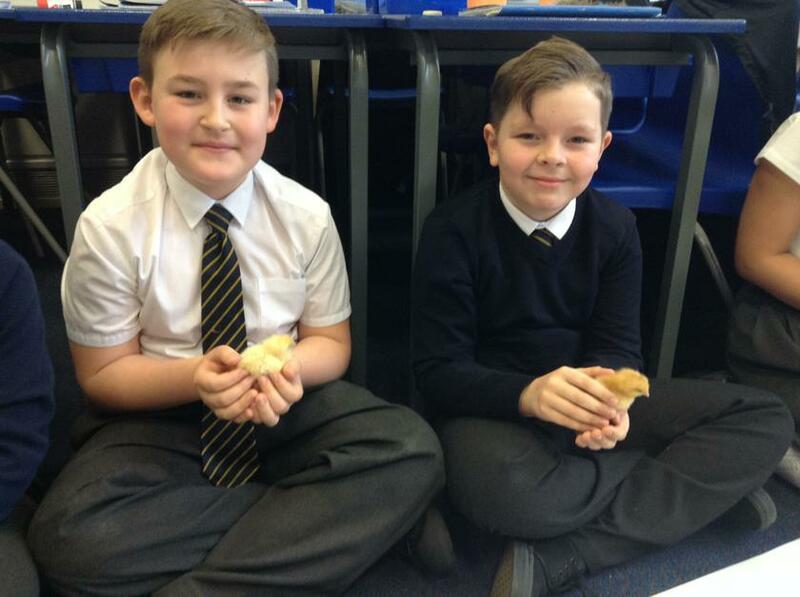 Egg shells have a similar make up to our own teeth and so it allows us to see what can happen to our teeth if we don't look after them. 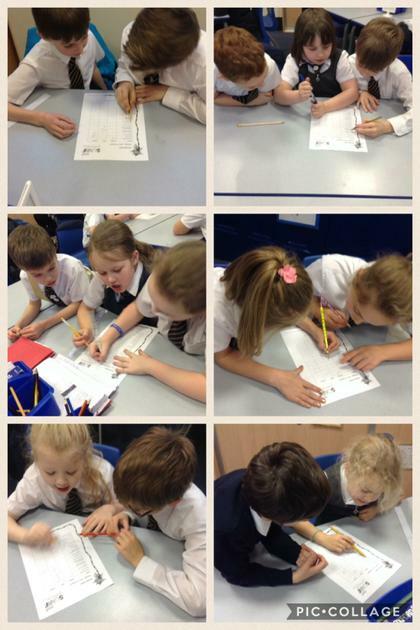 We've begun our new music topic looking at layering of musical pieces. 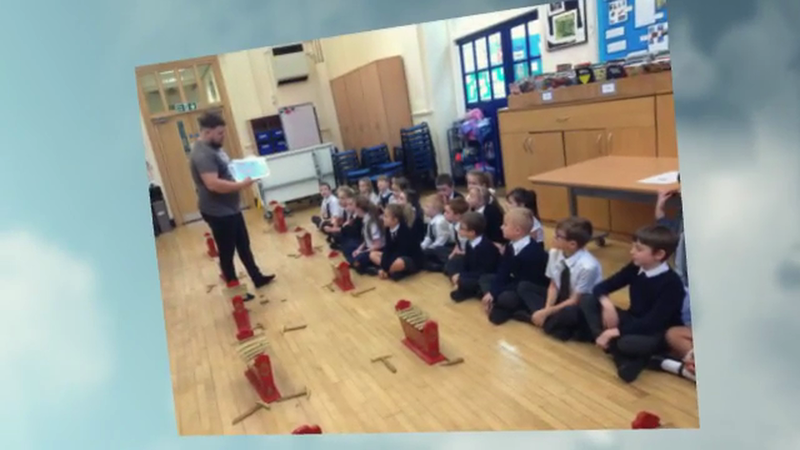 We've been practicing keeping a steady beat which forms the base layer of pieces of music. 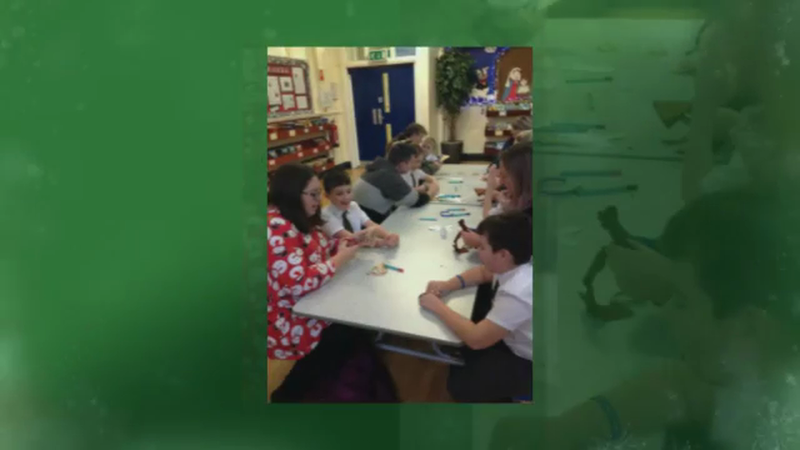 Thank you to all our parents and family who came to Christmas Cracker, we hope you enjoyed making your Christmas gingerbread man decorations. 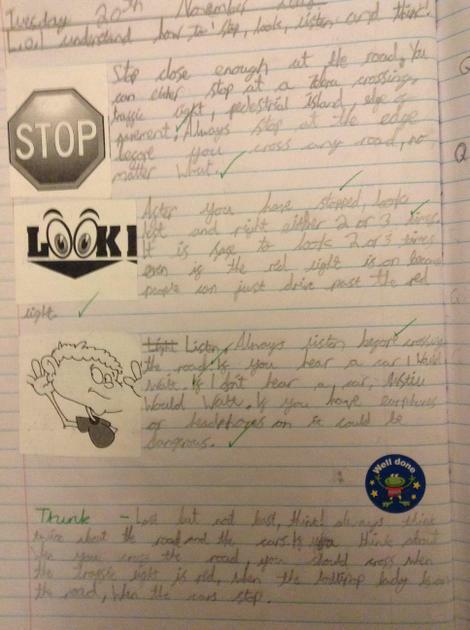 We have been discussing in PSHE what risks, hazards and dangers are, how to reduce them and what to do if we are unsure. 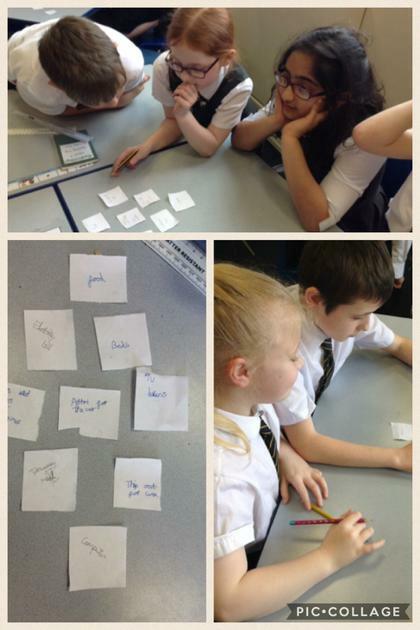 We then identified which situations we thought would fit into each category, and how we would avoid or reduce these dangers. 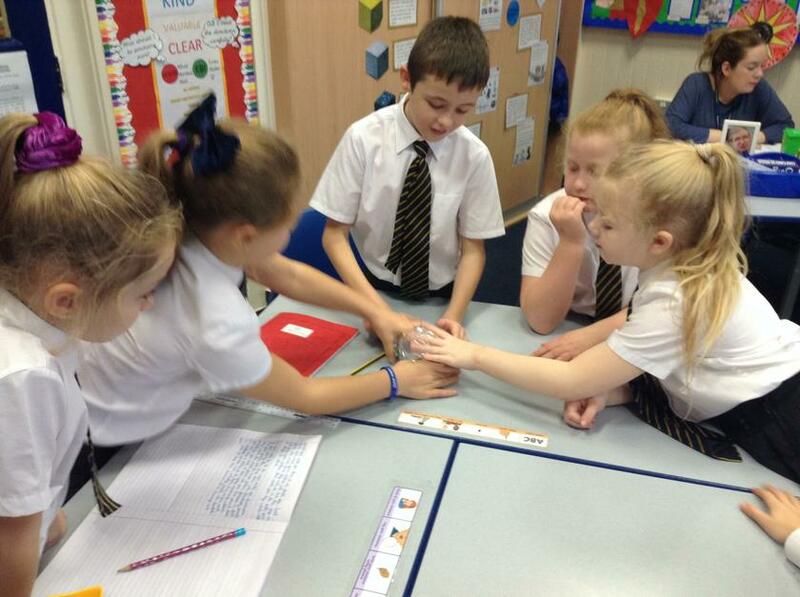 Today we investigated which materials were the most sound-proof. 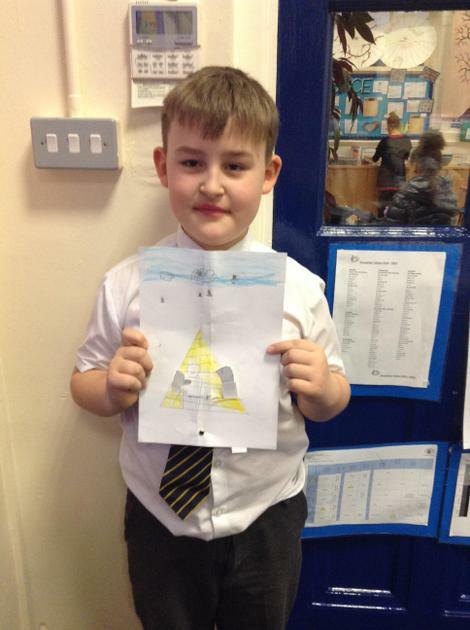 In science we have been learning about sound and how it travels. 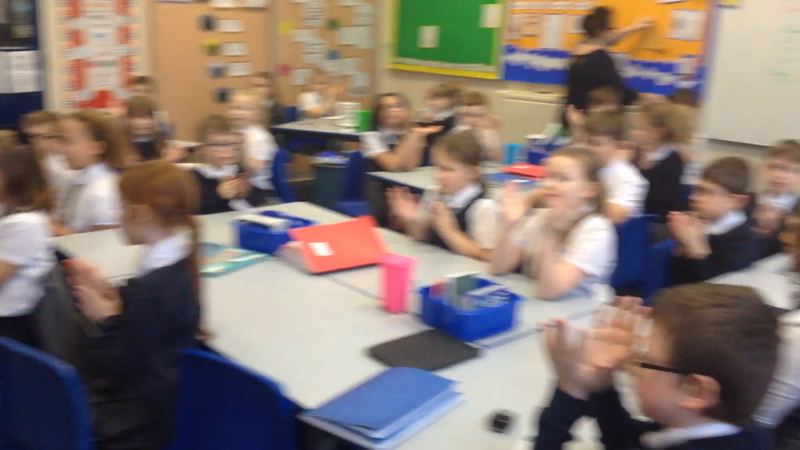 We investigated string telephones and how the length of the string affects the amplitude and quality of the sound. 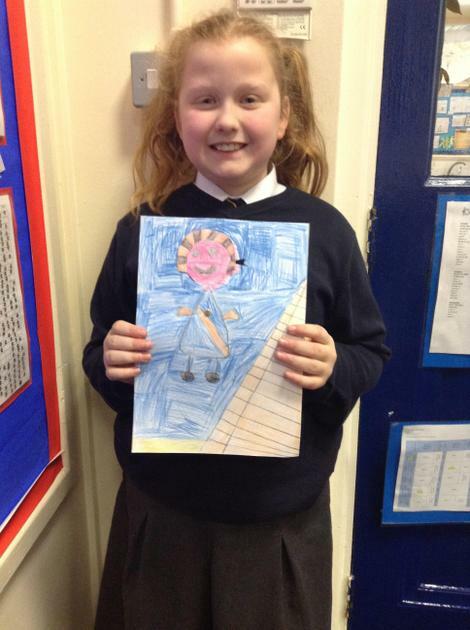 This week we are learning about Road Safety. 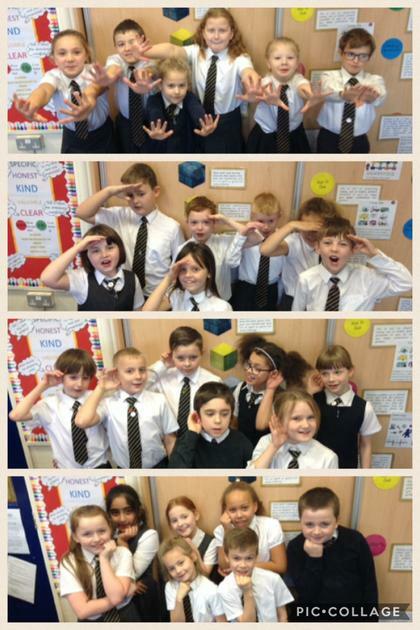 We have come up with actions to remember 'Stop, Look, Listen, Think' and discussed what these really mean in practice. 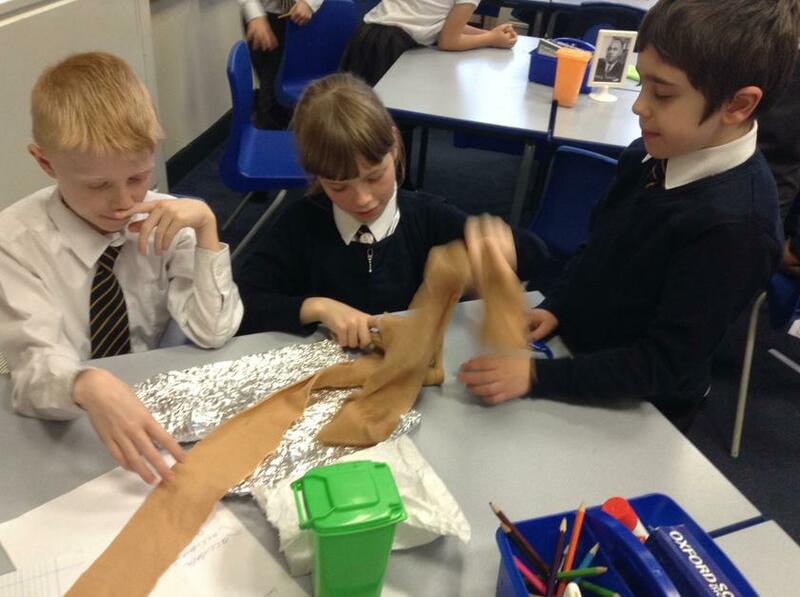 We've been exploring some Roman artefacts, finding out what we can deduce and infer from them. 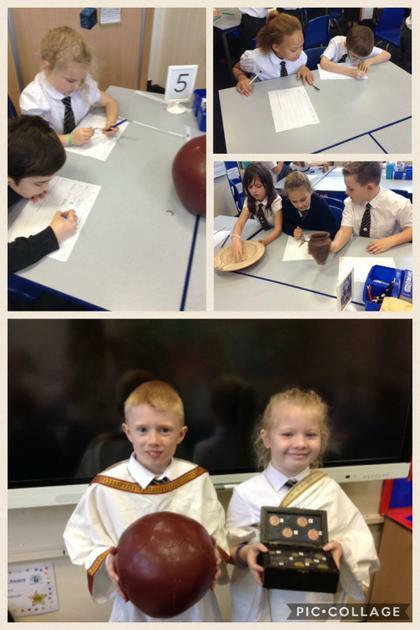 Then we have been looking at what they tell us about life in the Roman times. 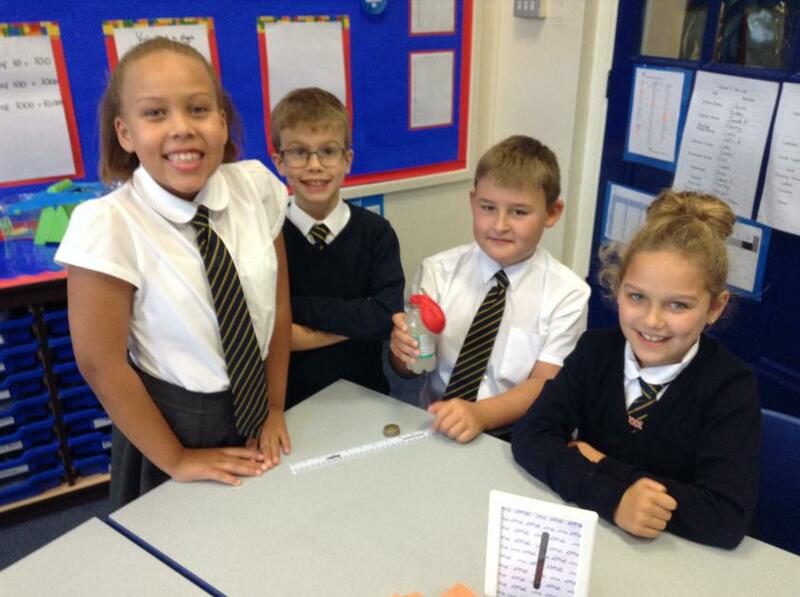 Well done to our super spellers in Class 9! 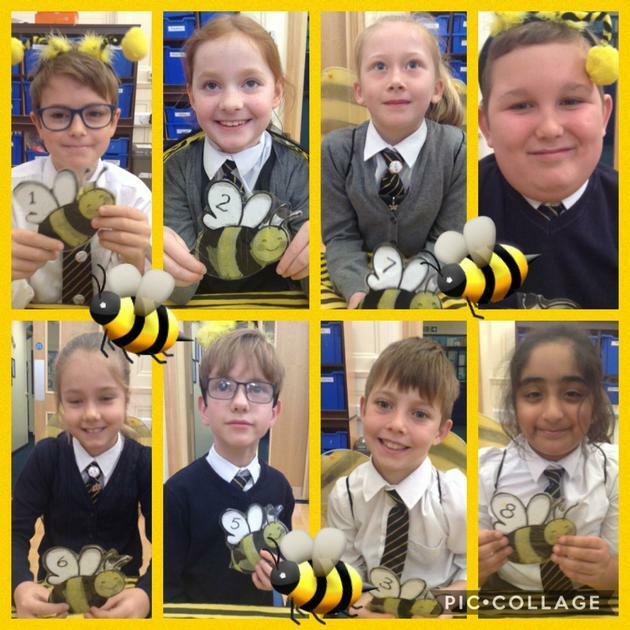 They did a superb job at representing our class in the year 4 spelling bee. 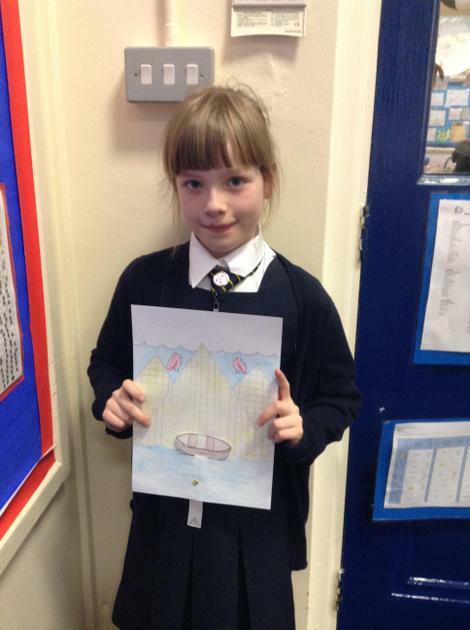 Keep up the spelling practice! 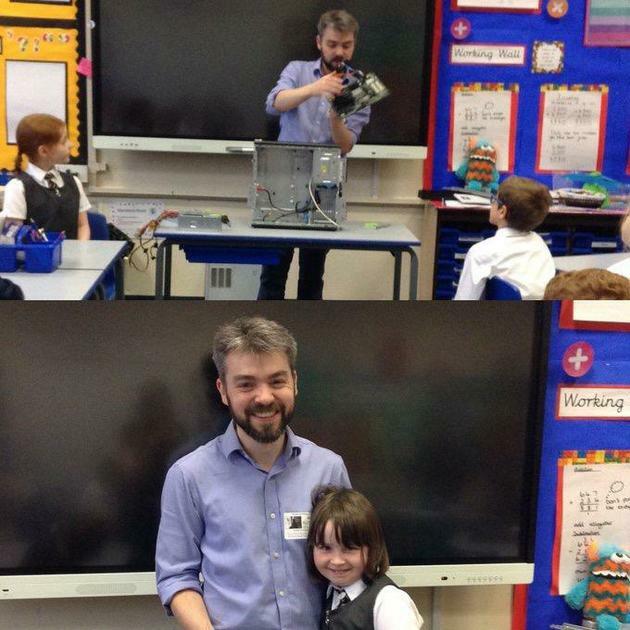 A big thank you to Freya's dad, Matt, for coming in and sharing his knowledge of hardware. 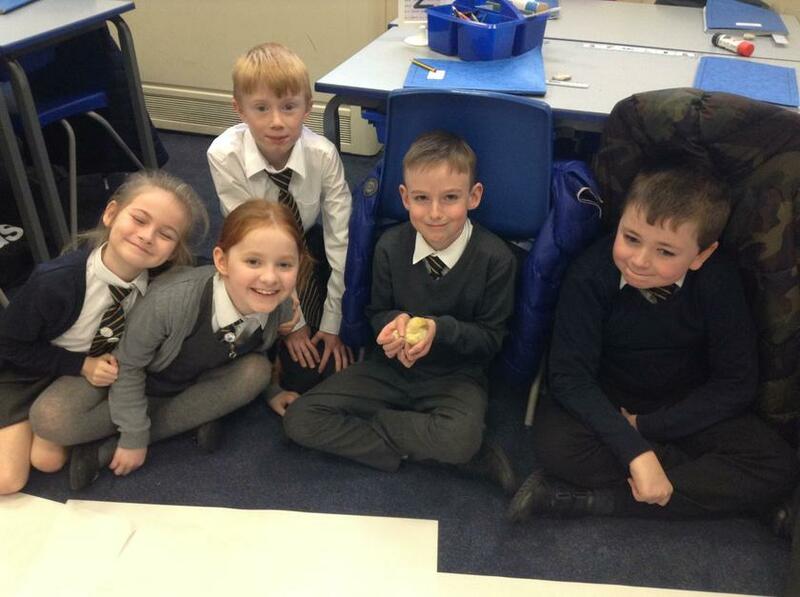 The children loved learning about all the components which make up a computer and how they have changed for the gadgets we use everyday! As part of UK parliament week and Anti-Bullying week, we have been learning all about our rights and how no one has the right to stop us having these. 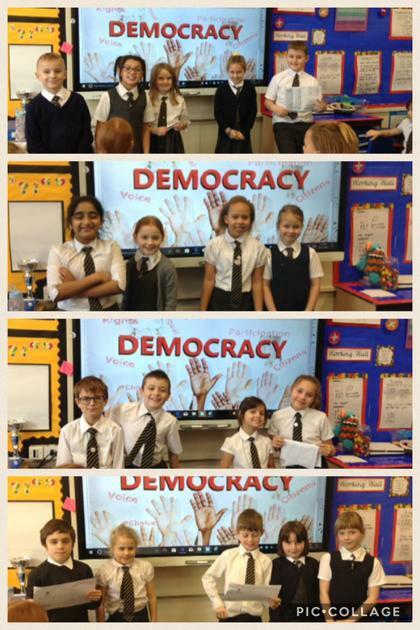 Through learning about democracy we held our own class debate. 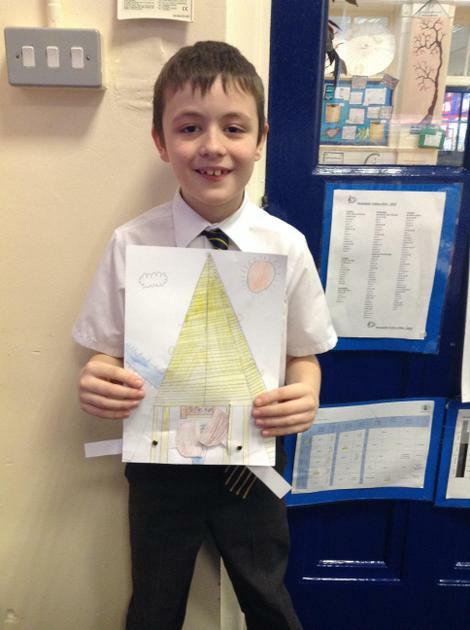 Well done for all articulating your views so well. Today we have been predicting what will happen to a sounds pitch when we cut it shorter, before conducting our investigation and drawing conclusions. 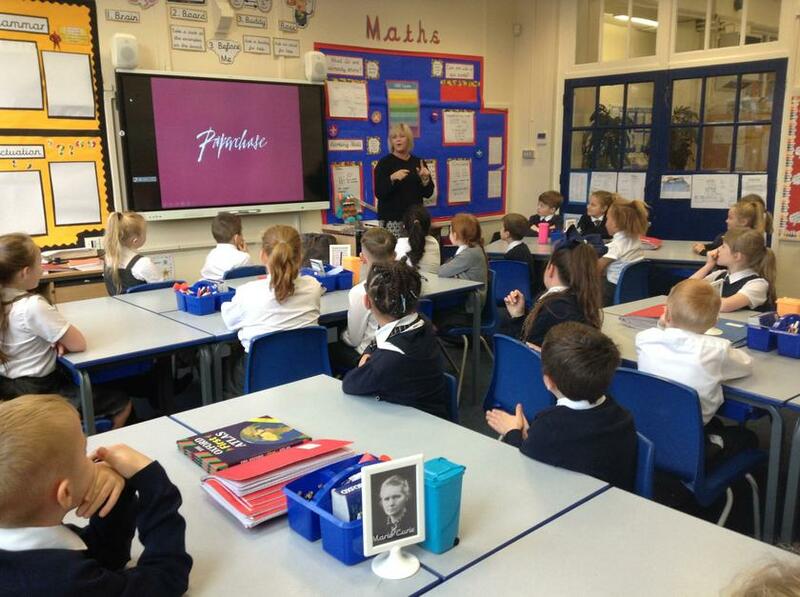 A huge thank you to Lola's Mum, Catherine for coming in and sharing all about her job at Paperchase with such passion! 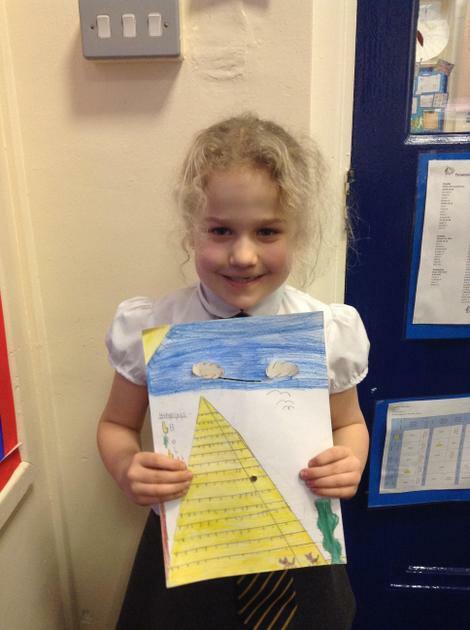 The children loved it and are really motivated to complete their own. 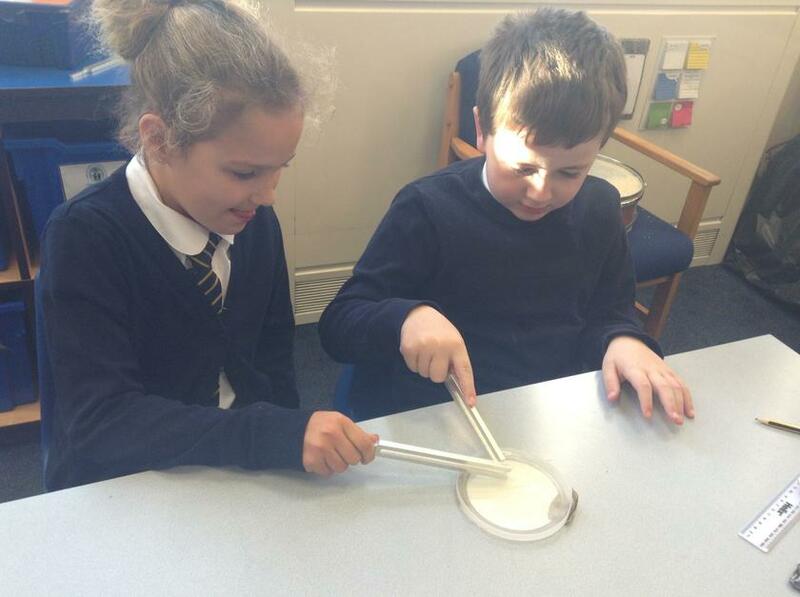 Today we have started our new science topic of sound. 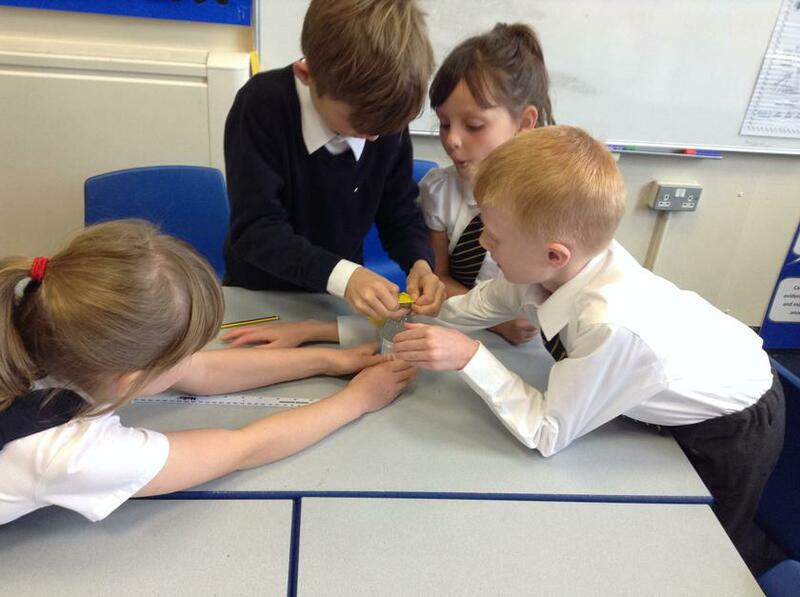 We have learnt that something needs to vibrate for a sound to be generated. 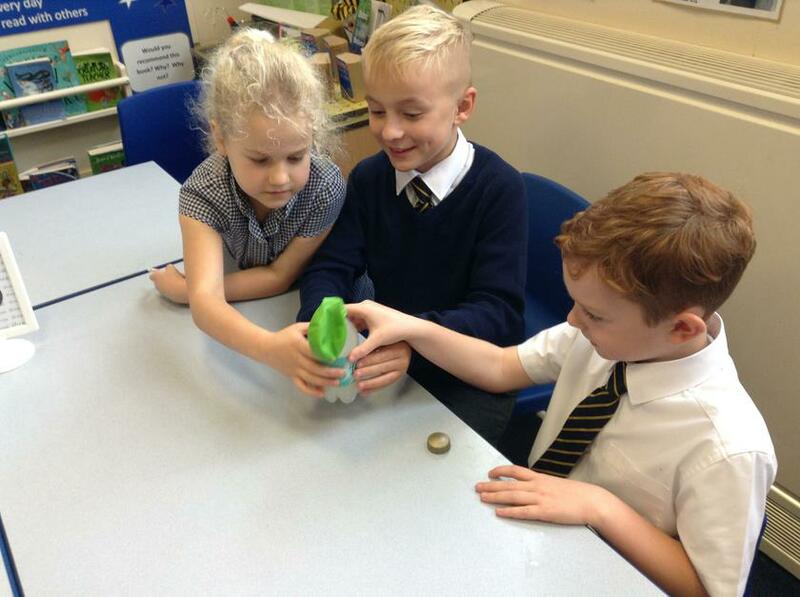 We looked at how we can see the vibrations and how these travel to our ears. 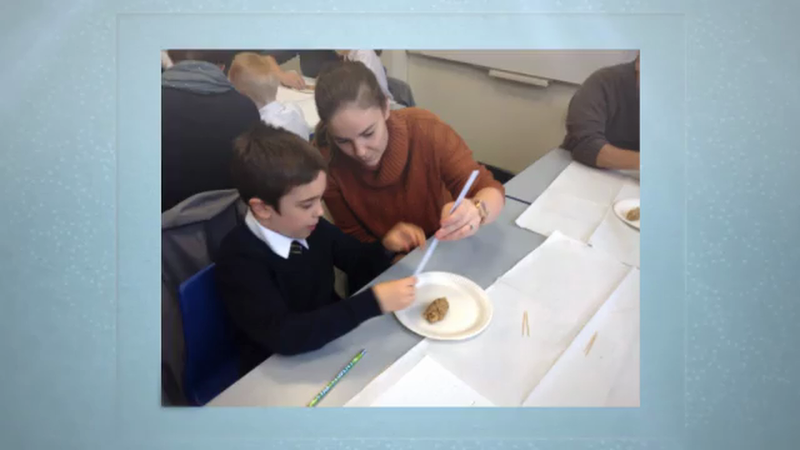 Thank you to all the parents, grandparents and guardians who could attend learning together- we really appreciate your involvement and hope you enjoyed sharing some learning time with your child. 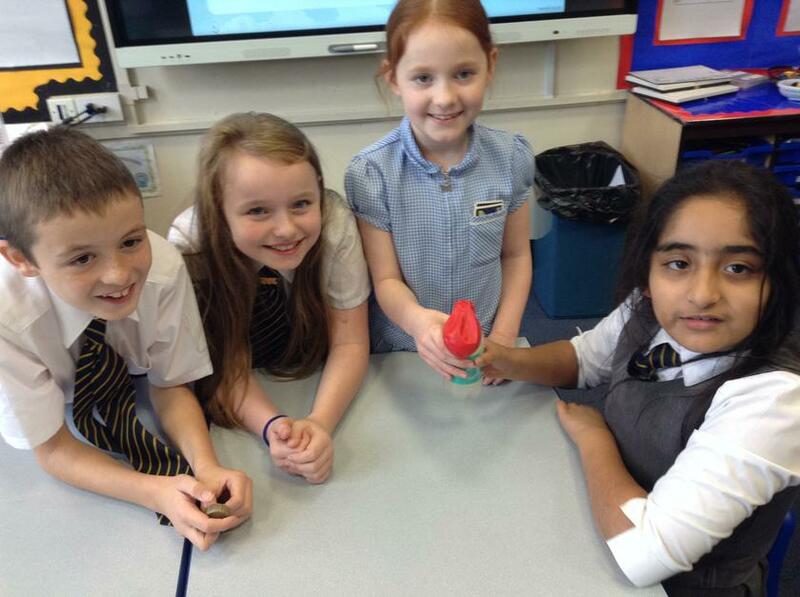 Today we have been investigating how the conditions and environment effect the rate which ice melts. 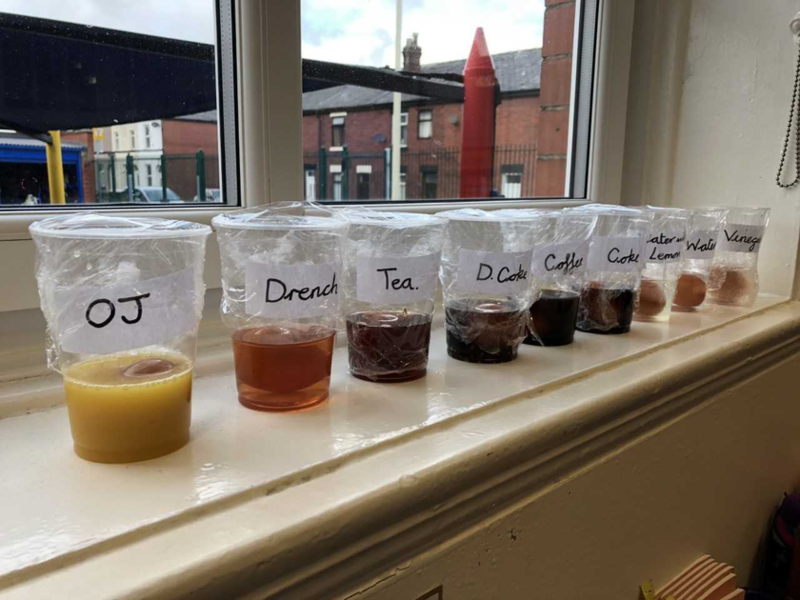 We added boiling water, cold water, salt and put it next to the window. 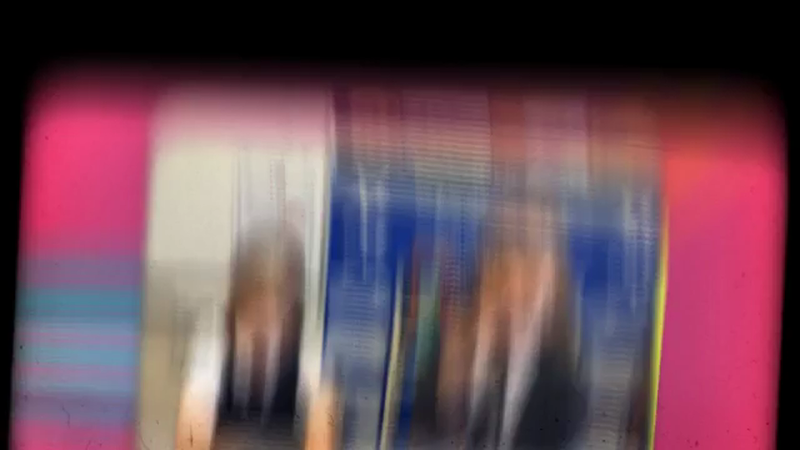 We also had a control to judge it against in a normal classrooom. 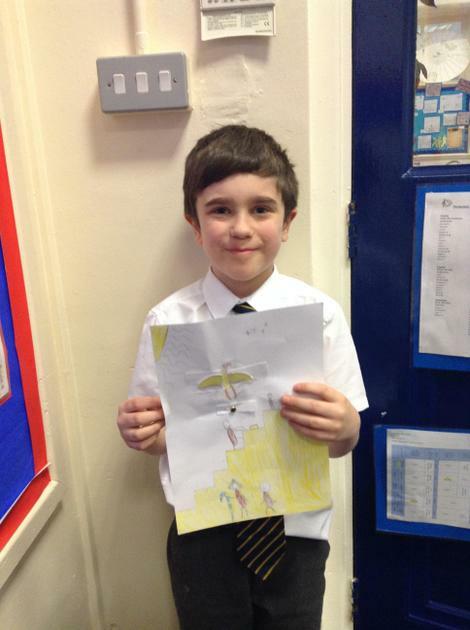 We’ve done a fantastic job writing it up and drawing conclusions! 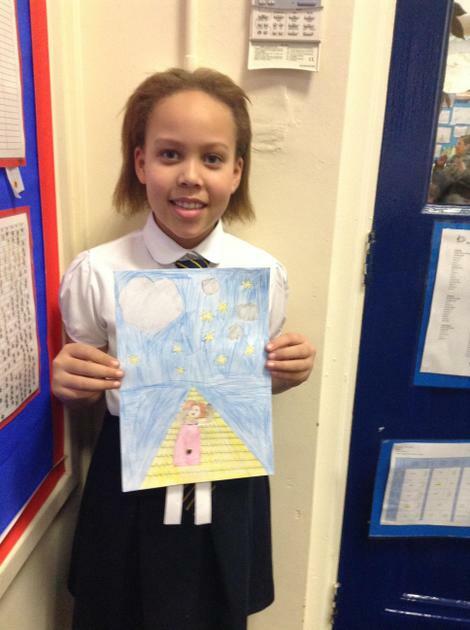 Today we have been talking about Diversity- what it means to us as an individual, as a school and as a community. 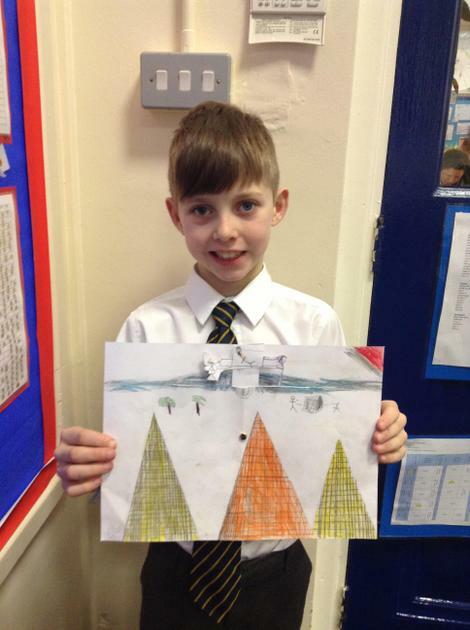 We drew our own Diversity world- drawing things which make us who we are and connecting them together as a class. 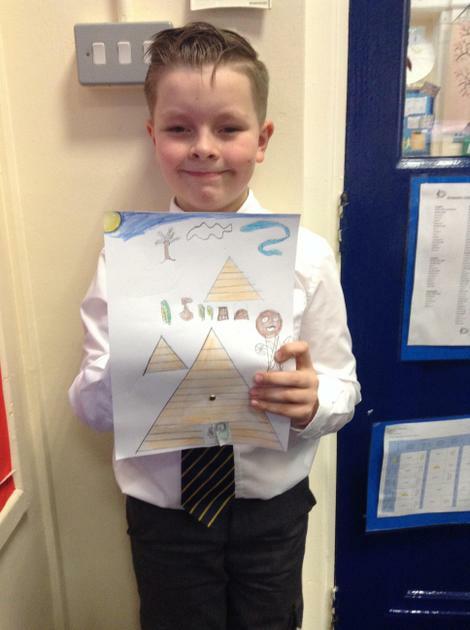 Celebrating how we are all different, and that's what makes us amazing! 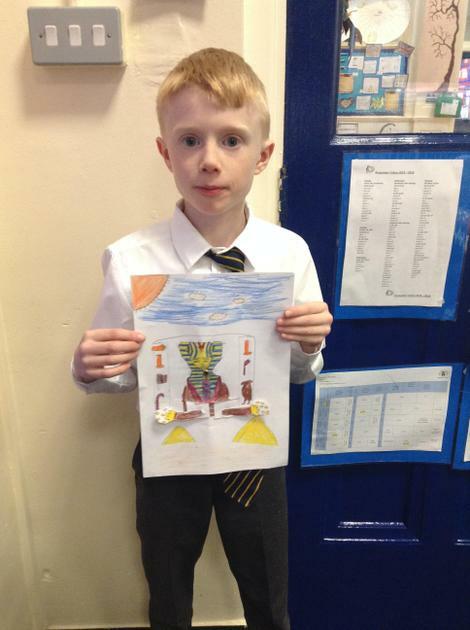 Today we learnt about Gamelan music and it's origins in Indonesia. It was a lot of fun... and very noisy! 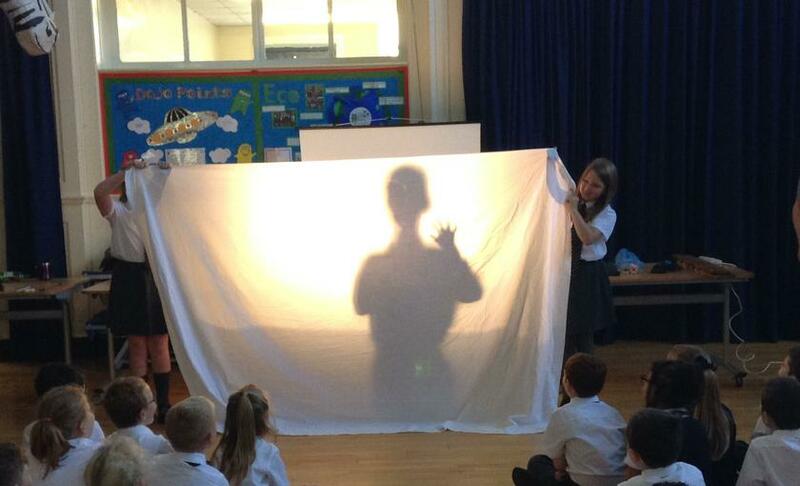 Today we took part in a Science workshop all about Sound and Light. 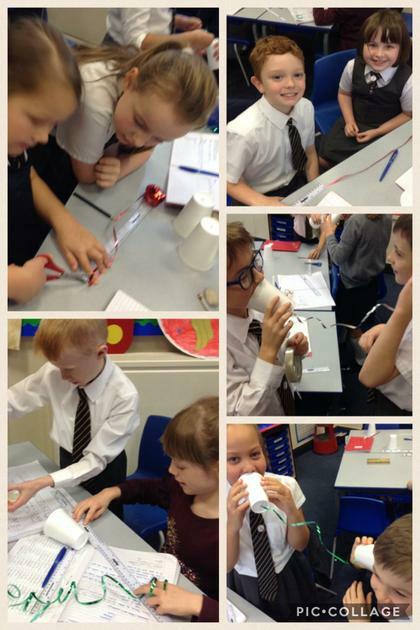 Lots of us got to try out some experiments! 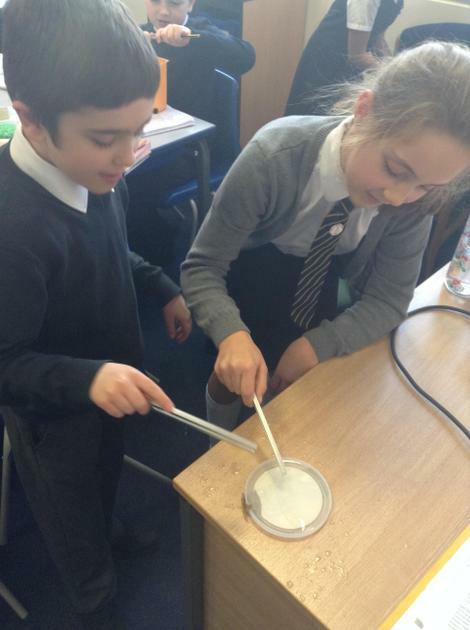 Today we have been investigating gases, looking at how gases can be dissolved in liquids. 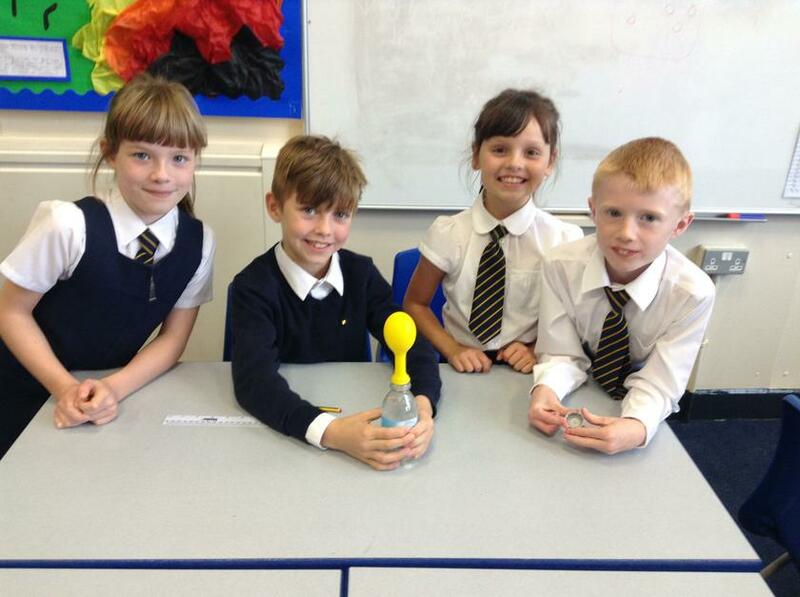 After we had captured the gases in a balloon we weighed the balloon against an empty balloon to show that gases have a weight. 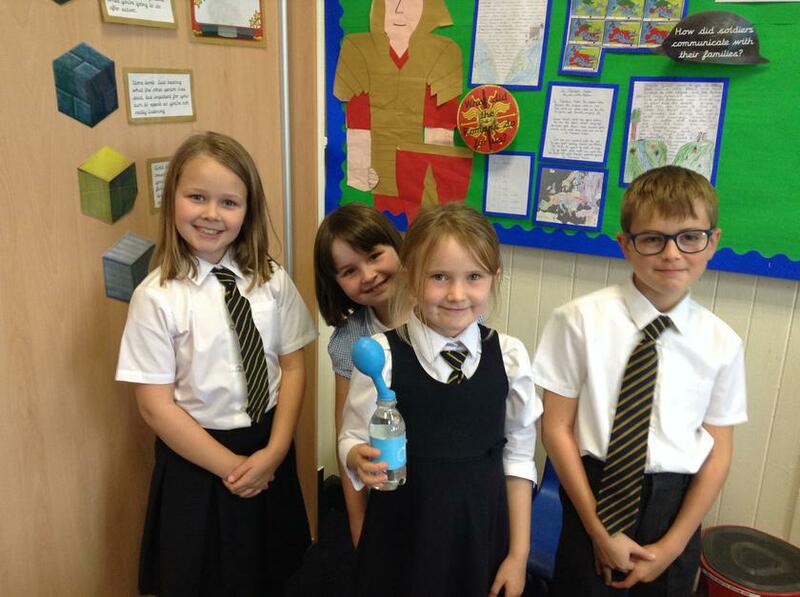 We had a discussion of why helium balloons can float. 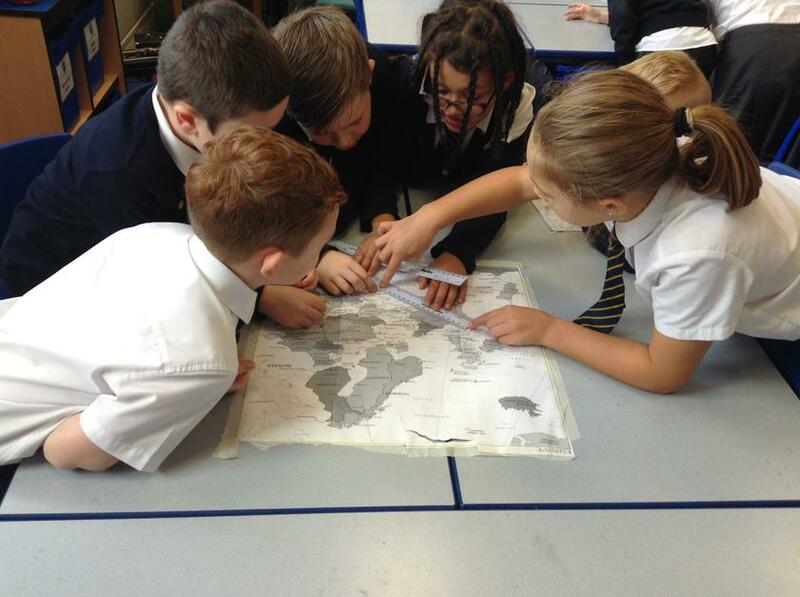 Today we have been mapping different routes from Rome to Manchester to look how far the Romans travelled. We also looked at taking extra detours to Milan, Paris and Madrid on the way! 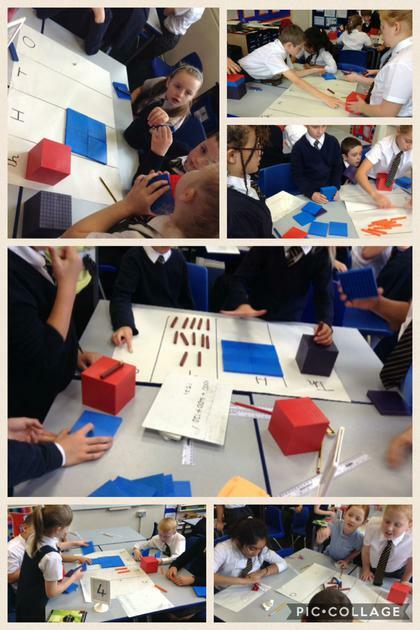 Today in maths we have been continuing to look at place value. We have been partitioning 4 digit numbers in a variety of ways, using exchanges to swap between thousands, hundreds, tens and ones. 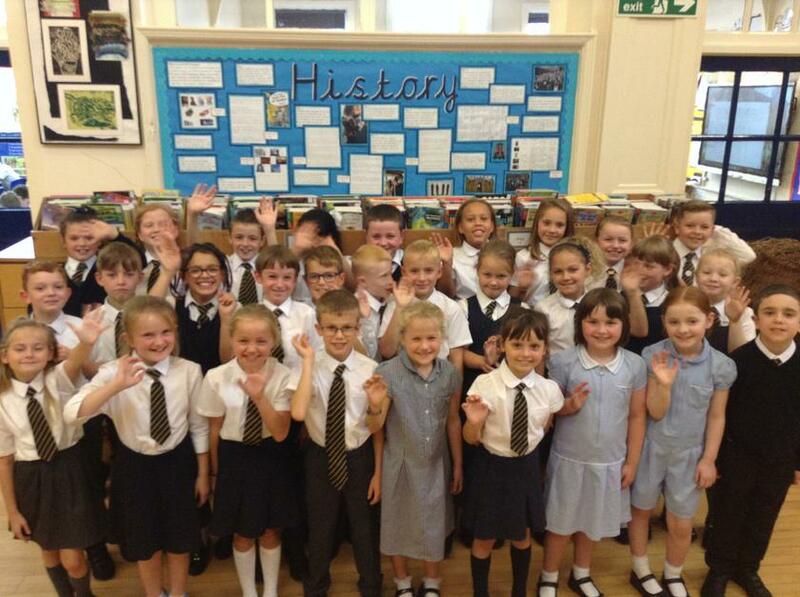 Class 9 have had a fantastic first week in Year 4! 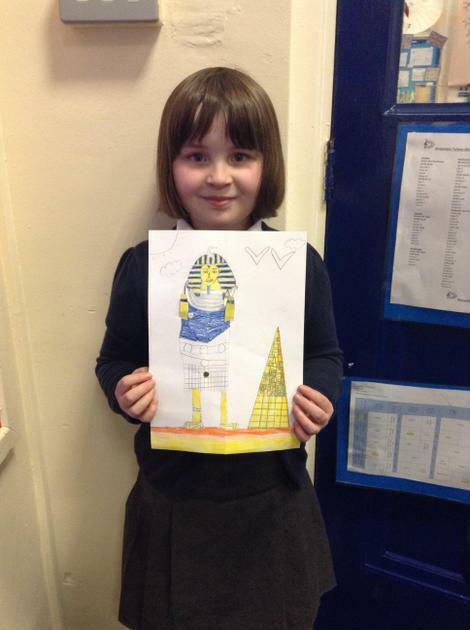 We have begun learning about the Romans, looking at where Rome began and how the Romans fit into history chronologically.